The Whitworth University Forensics team, the Arguing Bucs, took first place at the National Christian College Association National Tournament, held March 20-22 at Colorado Christian University in Lakewood, Colo. The tournament included 22 schools from 18 states, including Azusa Pacific University, Biola University, Colorado Christian University, Dordt College, Liberty University and Wheaton College. The Whitworth team is coached by Mike Ingram, professor of communication studies and director of forensics. This is the third consecutive year the Arguing Bucs have brought home the first-place sweepstakes award from this national tournament. This year, team members also garnered 29 individual speech and eight individual debate awards. Leading the way was Sam Director, ’15, who was recognized as the top overall competitor at the tournament. He won impromptu, and placed fourth in extemporaneous, fourth in informative, and fifth in persuasion. He was also in the top four for debate, making him a semifinalist. Sarah Sauter, ’15, was the third overall competitor, taking second in communication analysis and second in impromptu. She was also a semifinalist (top 12) in extemporaneous and a quarterfinalist (top eight) in debate. Whitworth Forensics brought home many awards in addition to its NCCA hardware during 2014-15. Overall, the team won eight of the 10 tournaments it competed in this year, and placed second in the other two. 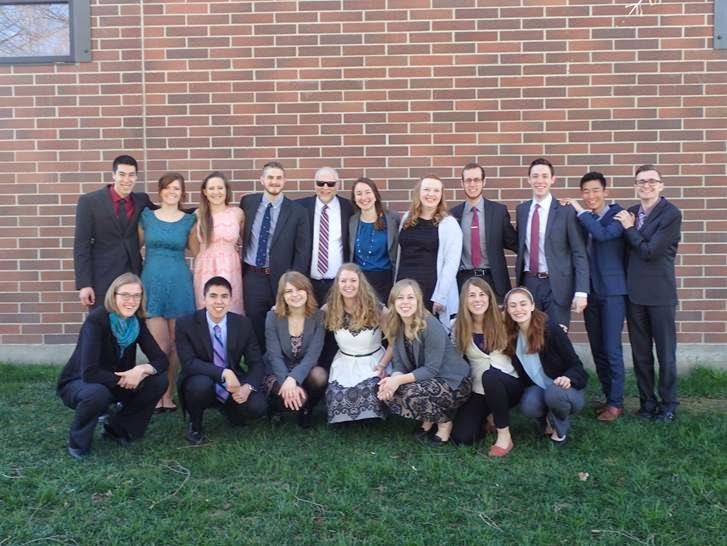 The team recently closed its season at the International Public Debate Association National Tournament at Boise State University in Boise, ID on March 27-29, taking second place at the tournament among 31 schools from 12 states, but took first place in the yearlong sweepstakes ahead of 93 schools across the U.S. Ingram was also recognized as the 2015 IPDA Coach of the Year during the tournament. Mike Ingram, professor of communication studies and director of forensics, Whitworth University, (509) 777-4428 or mingram@whitworth.edu.